LangTai company’s poly tank: It is made of modified polyolefin powder imported from DuPont. It is mainly used as lining material for homopolymer and copolymer of olefins such as ethylene and propylene. The lining meets HG / T21562-94 standard. Poly tank prices different, because the size of different specifications. Anti-static, non-toxic (in line with health standards: GB96787-1988) using the temperature of 70 ~ 130 „ƒ, lined with anti-corrosion thickness of (thickness), anti-corrosion, anti-corrosion, anti-corrosion, 6 to 8 mm. 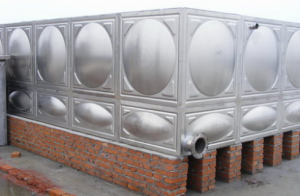 Can replace the stainless steel, lead, titanium, enamel and PTFE similar products, the user can according to different corrosion, select the appropriate temperature to achieve economic and practical purposes, the production process with steel lining PE storage tank, the biggest difference is to conduct on- Can be customized according to customer requirements non-standard irregular shape of the tank. 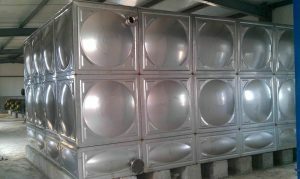 (Square tank can also be lined with anti-corrosion) The process of development, to solve the difficulties due to transport can not transport large storage tank problem. Polyolefin PO Properties: PO is an abbreviation for PLOY polymer. PO resin belongs to the homopolymer of high molecular Z-olefin and is polymerized with olefins such as ethylene, propylene and butene. It also includes some properties of blending, strengthening and complexing. It is a new type of corrosion-resistant, anti-static and non-toxic , High strength, good rigidity of the lining material, the use of temperature -60 ~ 130 „ƒ, with a special hot-wall rotating plastic molding, the new processing technology, as the lining and steel-plastic strong adhesion. It is widely used in chemical industry, metallurgy, food, transportation, medicine, textile and other industries at home and abroad, and the process has no requirement on the internal and external structure of the workpiece, and can process and shape the workpiece with complex structure. Since the polyolefin (PO) is an olefin copolymer of ethylene, propylene and butylene, it not only retains the corrosion resistance of ethylene and propylene but also has good heat resistance, impact resistance and electrical resistance Insulation performance. The use of temperature than polyethylene, polypropylene, 20-30 degrees higher. At the same time, it overcomes the shortcomings of polyethylene and polypropylene with poor adhesion of metal, has a strong adhesive force, can be combined firmly with the metal together, is one of the best anti-corrosion materials. Therefore, with its lining equipment, pipes and fittings can withstand vacuum, vacuum optional -0.092 Mpa. At the same time, since the extremely strong binding force, which greatly limits its thermal changes caused by shrinkage and elongation, Thus roller coating equipment, pipes and pipes will not be contraction and expansion of the destruction, to ensure the long-term stable use of equipment.